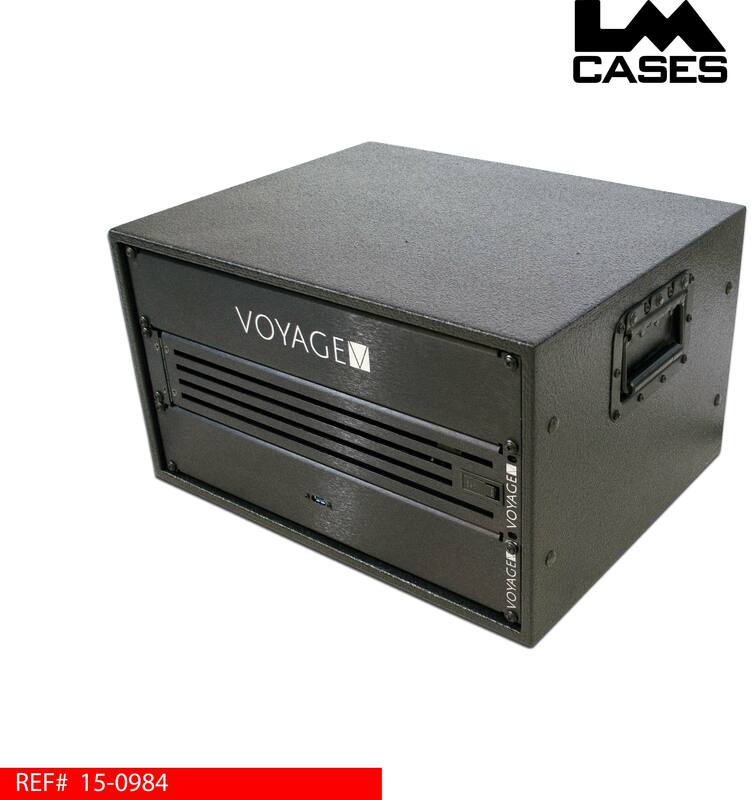 This media server kit was designed for Voyage Productions, the kit is based around a cylindrical Mac Pro tower housed in a 6 space rack. 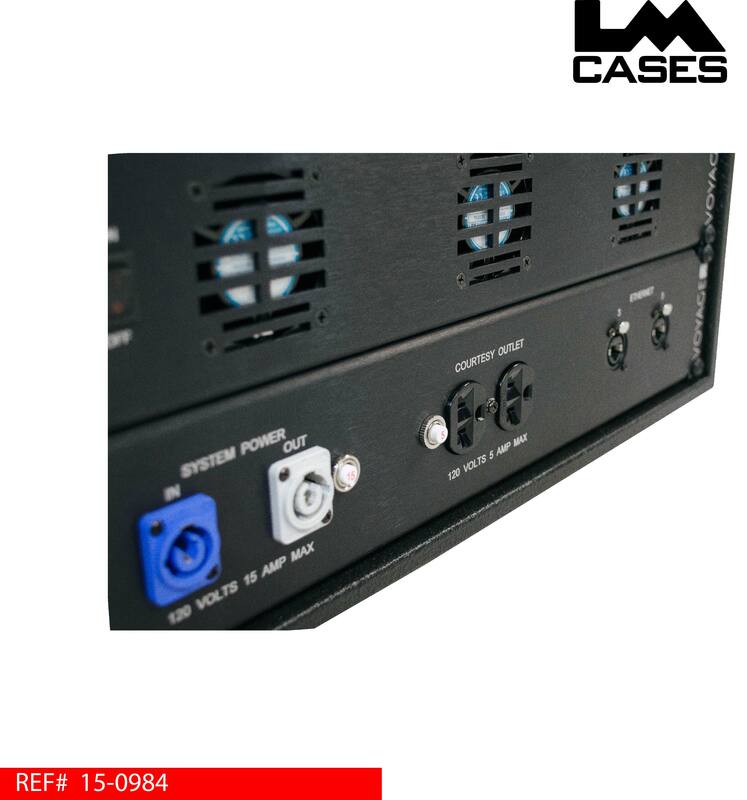 The Mac Pro connections are addressed via a custom IO panel built by the LM Cases Custom Integration Department. 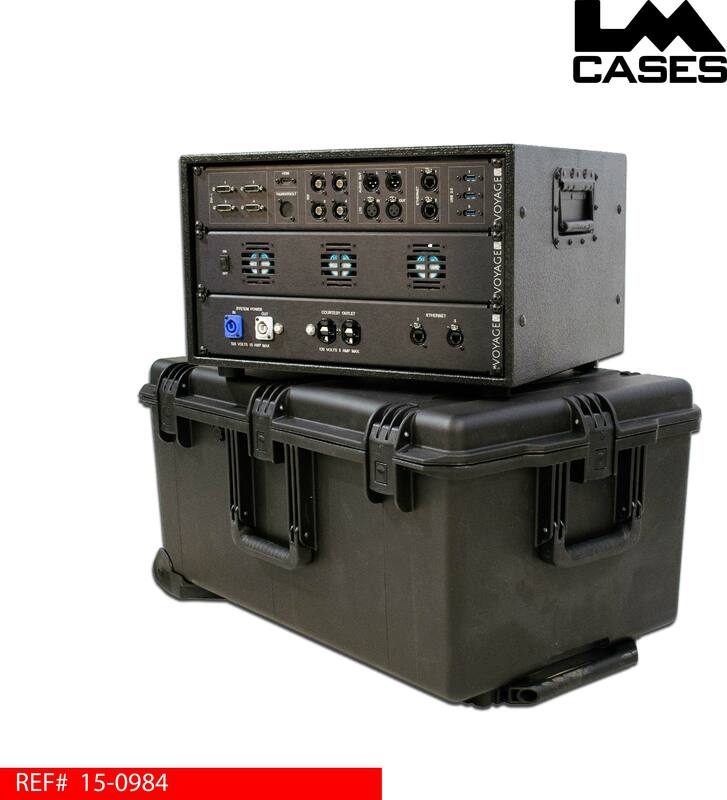 The rack is transported in a Pelican Storm iM2975 case. The Mac Pro tower is held in a custom shock mounted cradle built by LM Cases that is hard mounted to the rack shell. 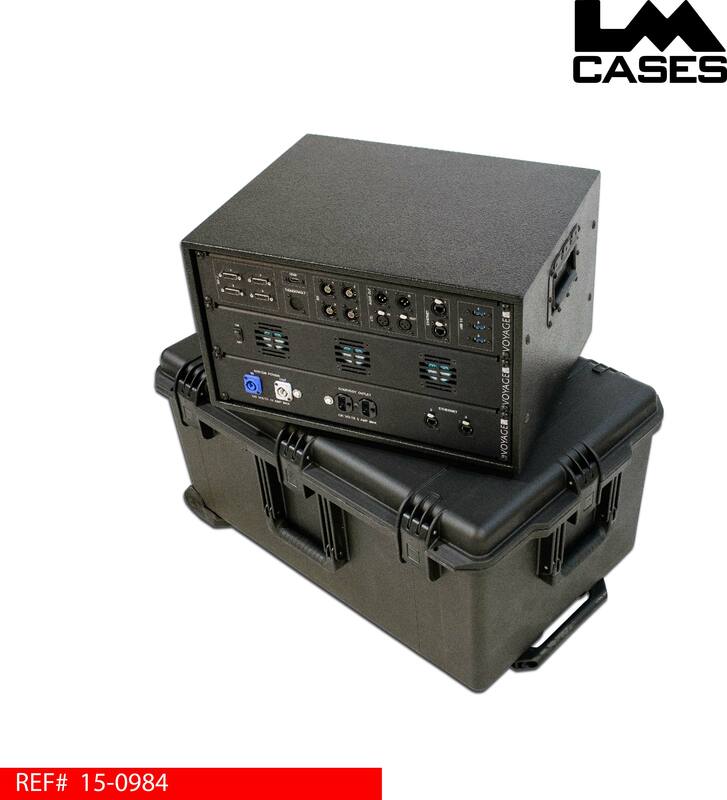 The computer is protected by 2 layers of shock protection: the mount, and the rack suspended in foam within the Pelican case. All internal system components are secured allowing the case to be flipped and rolled with out damaging any mission critical components. All connections to the computer and other break out components are addressed on a custom IO panel. 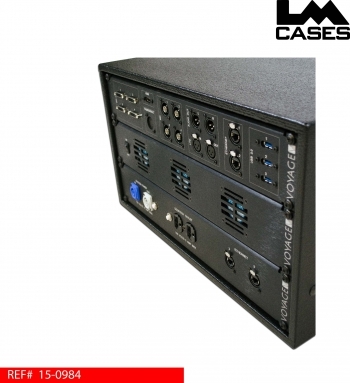 Power is supplied to internal components via a custom distribution panel that features a Powercon In & Thru in addition to a courtesy outlet protected by a 5 amp breaker. The front of the rack features a logo panel, vented access panel and a USB panel. 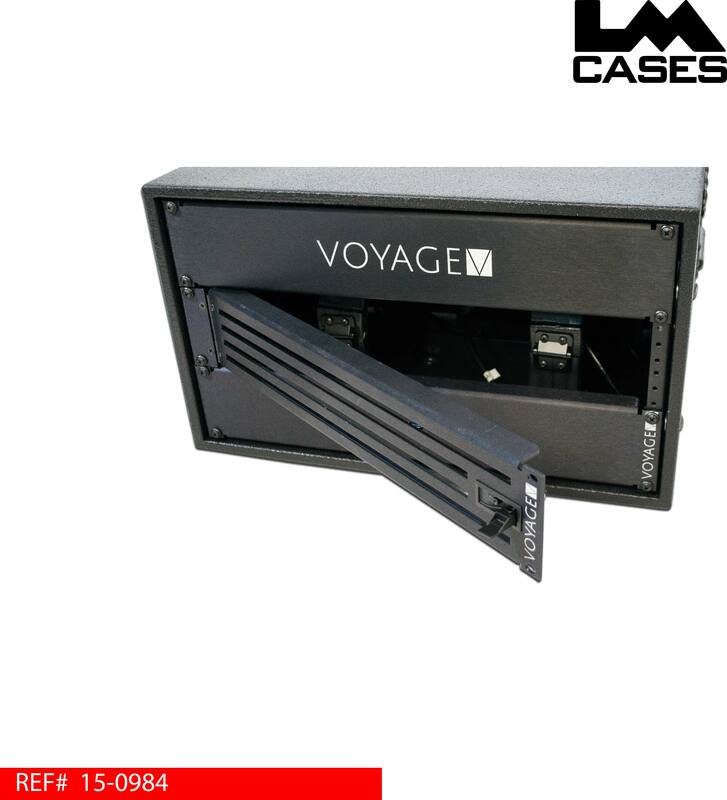 All panels are built out of brushed aluminum, black anodized and laser etched with labels and the Voyage Productions logo. 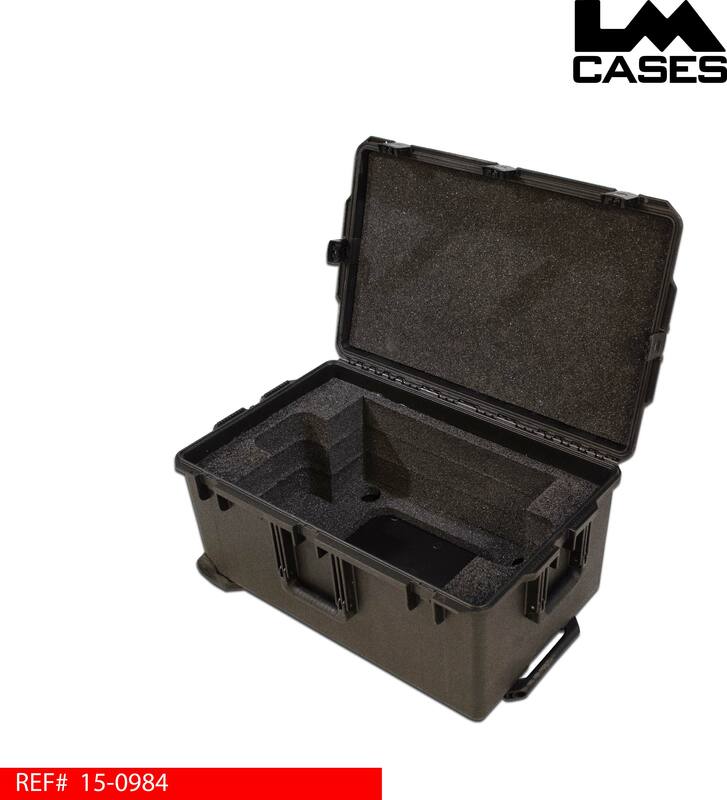 The rack shell is built out of 1/2" Baltic Birch and is finished in black texture coating. 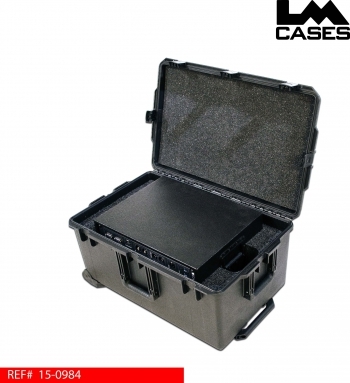 The rack shell features all black hardware for a clean understated look. 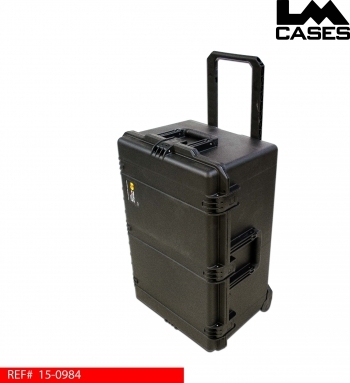 The exterior case features a CNC cut PE foam insert holding the rack shell and shock isolating it from any shipping impacts. Special thanks to Voyage Productions for a great project!